Early in our visit to Kauai, we paid a visit to the lighthouse and wildlife refuge at Kilauea Point. We were there to see the lighthouse and the surrounding coast but the wildlife element was an interesting addition. There were tons of birds in the area. Along the cliffs we saw a lot of Red Footed Boobies. These are a pretty decent sized bird that is akin to a small albatross. 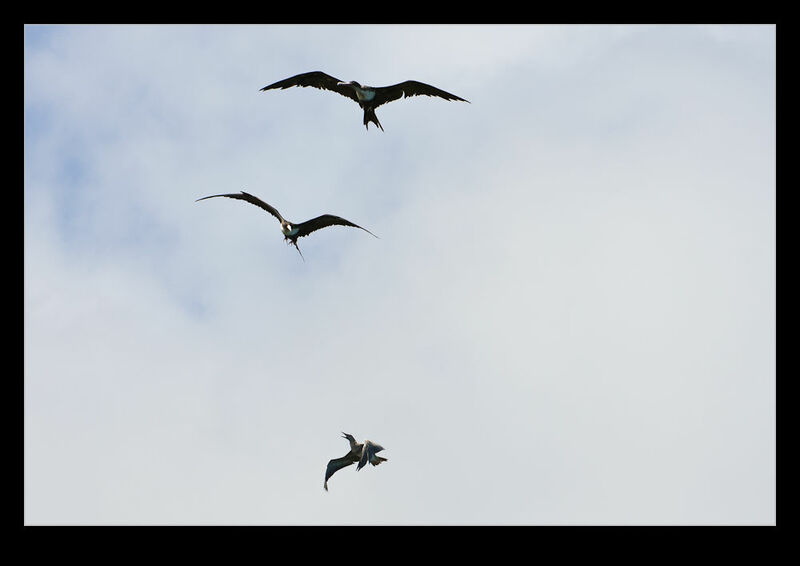 The boards also mentioned the presence of frigate-birds. These weren’t close in but appeared to be out towards the lighthouse. 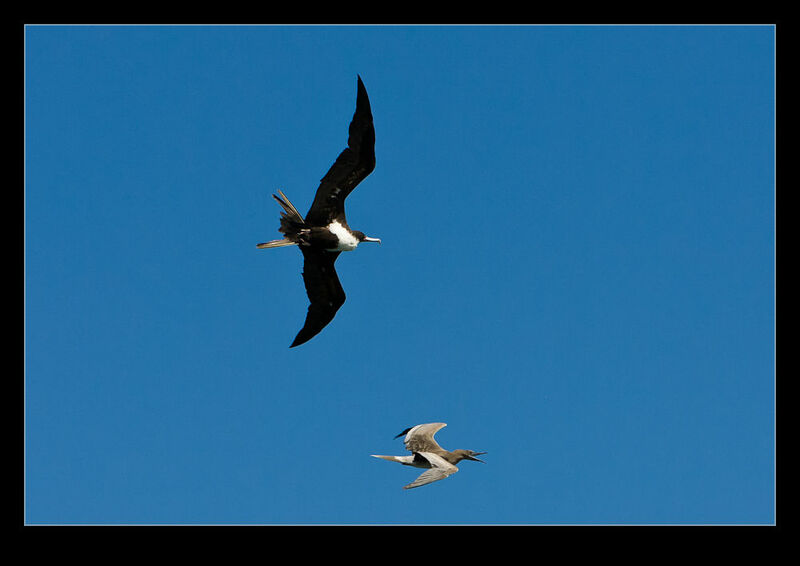 Once we got out on the peninsula on which the lighthouse sits, we became a lot more familiar with the frigate-birds. It turns out that they are something I have seen on one of the TV nature programs that the BBC produces in great detail every five years or so. 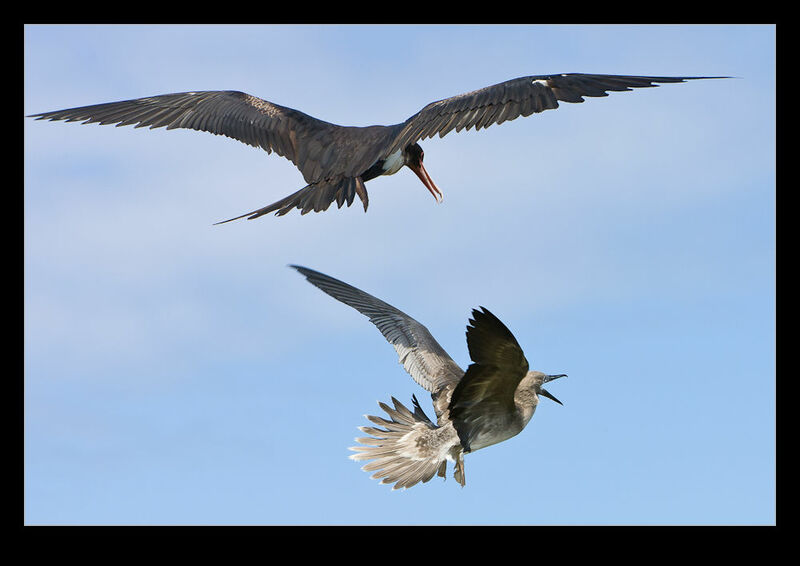 Frigate-birds are a prehistoric looking creature. 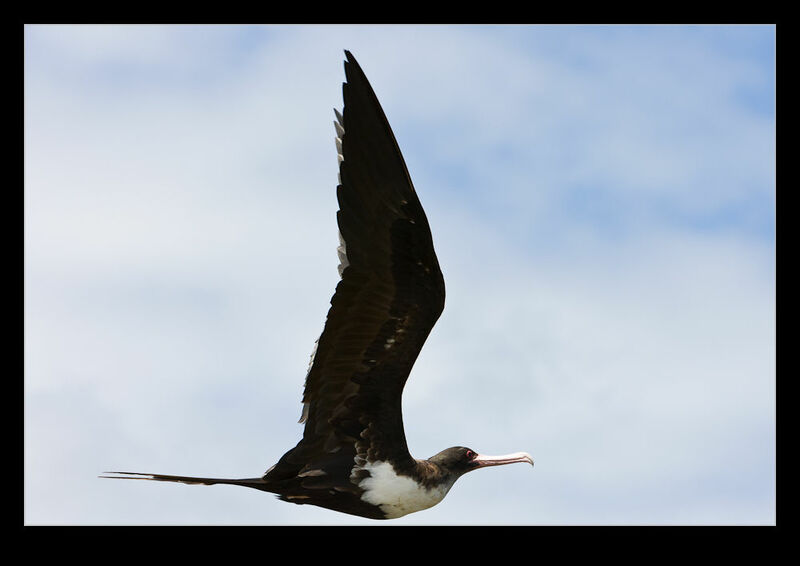 Their wings make them look like a pterodactyl and their beaks have a most evil looking hook on the end. The thing that the TV show explained and that we got to see in action is their preferred method of getting food. The boobies head off out to see to catch fish. They bring the fish back in a pouch in their throat and then use it to feed the chicks. The frigate-birds are not so interested in making much of an effort so they hang around and wait for the boobies to return. They then attack them trying to make them spit out their catch. Nice, huh? Anyway, we got to see this at close range. 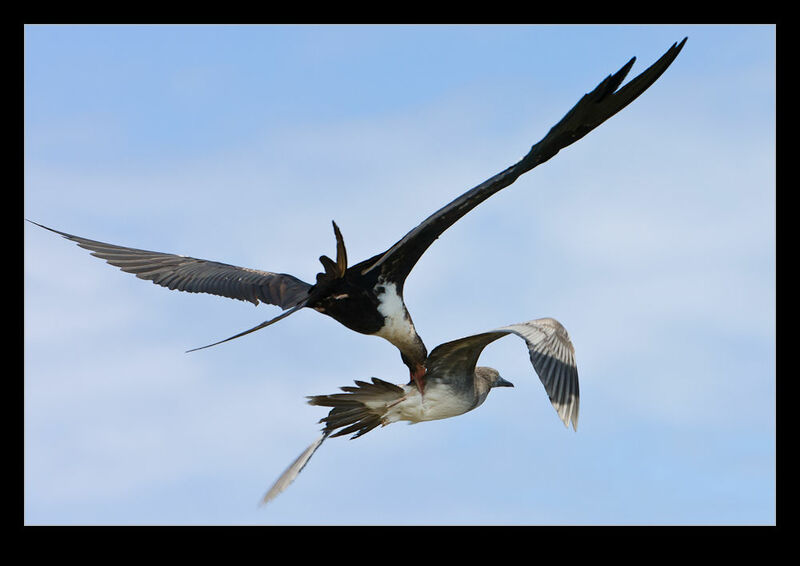 The frigate-birds would pick a target and go for them, sometimes in pairs. The attack would continue for some time as the boobies tried desperately to get out of the way. If they got close enough to the shore, that seemed to be good enough and they could get back to their roost. Otherwise, the frigate-birds would be pretty tenacious. Quite something to witness at close quarters! This entry was posted in photo, Travel, wildlife and tagged bird, booby, fish, frigate, Hawaii, Kauai, Kilauea, lighthouse. Bookmark the permalink.